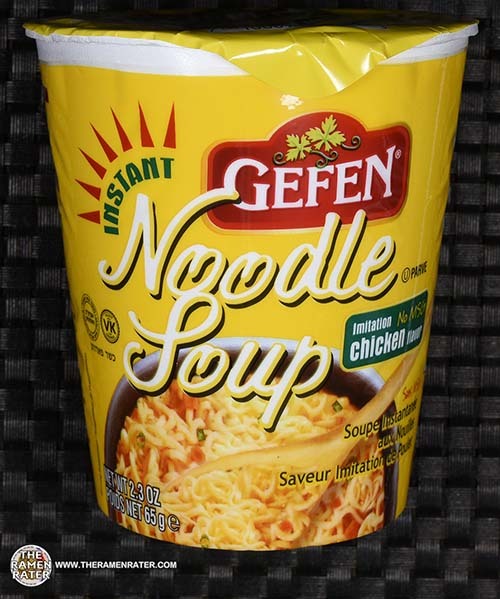 This entry was posted in * Stars 3.1 - 4.0, Chicken, Gefen, United States and tagged 2389, 710069061323, gefen, imitation chicken, jewish, kosher, united states, usa on March 24, 2017 by Hans "The Ramen Rater" Lienesch. 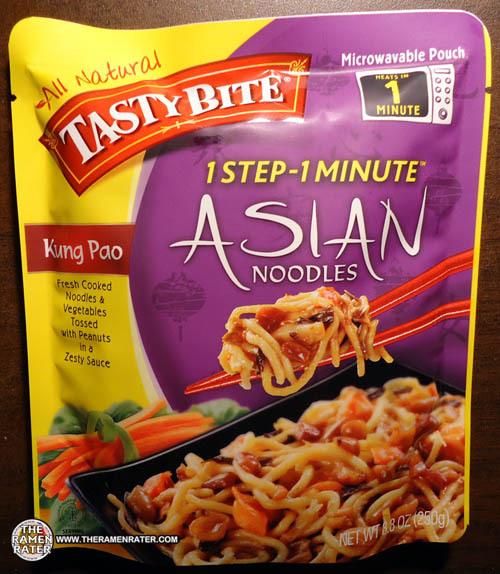 This entry was posted in * Meet The Manufacturer, * Stars 3.1 - 4.0, Other, Tasty Bite, United States, Vegetable and tagged 1 minute, 1 step, 1066, 7 82733 01506 2, 782735015062, asian noodles, gmo free, india, kosher, meet the manufacturer, microwavable, no msg, no preservatives, pad thai, pune, tasty bite, vegan on May 30, 2013 by Hans "The Ramen Rater" Lienesch. 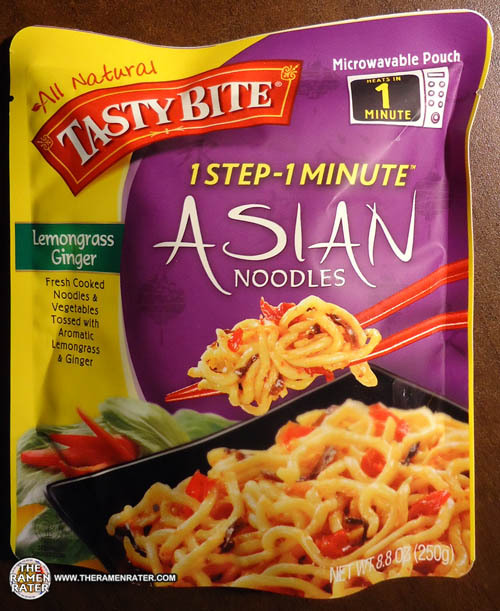 This entry was posted in * Meet The Manufacturer, * Stars 4.1 - 5.0, Other, Tasty Bite, United States, Vegetable and tagged 1 minute, 1 step, 1065, 7 82733 01501 7, 782733015017, asian noodles, gmo free, india, kosher, kung pao, meet the manufacturer, microwavable, no msg, no preservatives, peanut, pune, tasty bite, vegan on May 29, 2013 by Hans "The Ramen Rater" Lienesch. 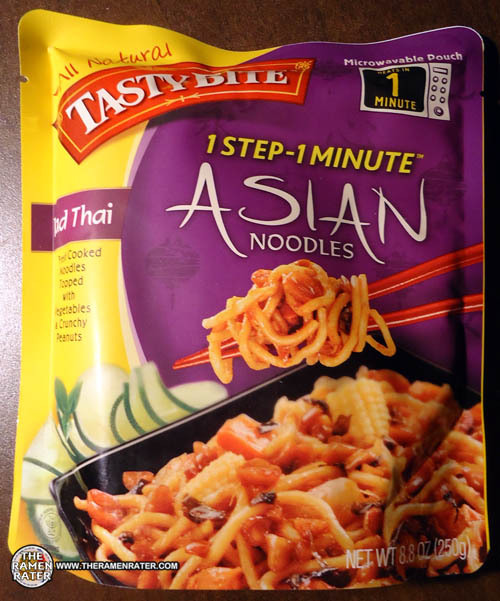 This entry was posted in * Meet The Manufacturer, * Stars 3.1 - 4.0, Other, Tasty Bite, United States, Vegetable and tagged 1 minute, 1 step, 1064, 7 82733 01505 5, 782733015055, asian noodles, gmo free, india, kosher, meet the manufacturer, microwavable, mushroom, no msg, no preservatives, pune, resplendant and bemusing, tasty bite, vegan on May 28, 2013 by Hans "The Ramen Rater" Lienesch. 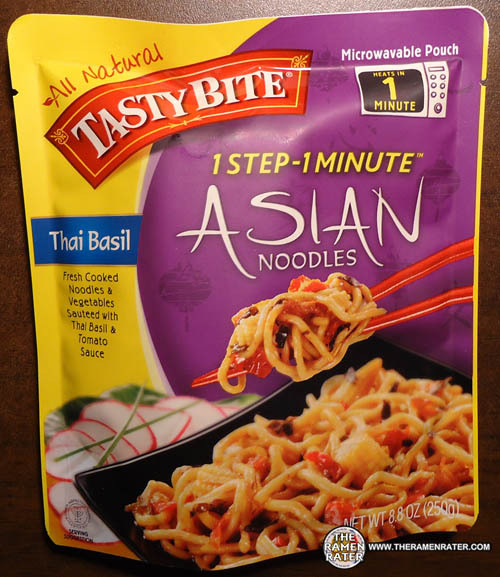 This entry was posted in * Meet The Manufacturer, * Stars 3.1 - 4.0, Other, Tasty Bite, United States and tagged 1 minute, 1 step, 1063, 7 82733 01504 8, 782733015048, asian noodles, basil, gmo free, india, kosher, meet the manufacturer, microwavable, no msg, no preservatives, pune, tasty bite, thai basil, thailand, vegan on May 27, 2013 by Hans "The Ramen Rater" Lienesch. Here’s another one from Tasty Bite – Lemongrass Ginger! Let’s check it out. 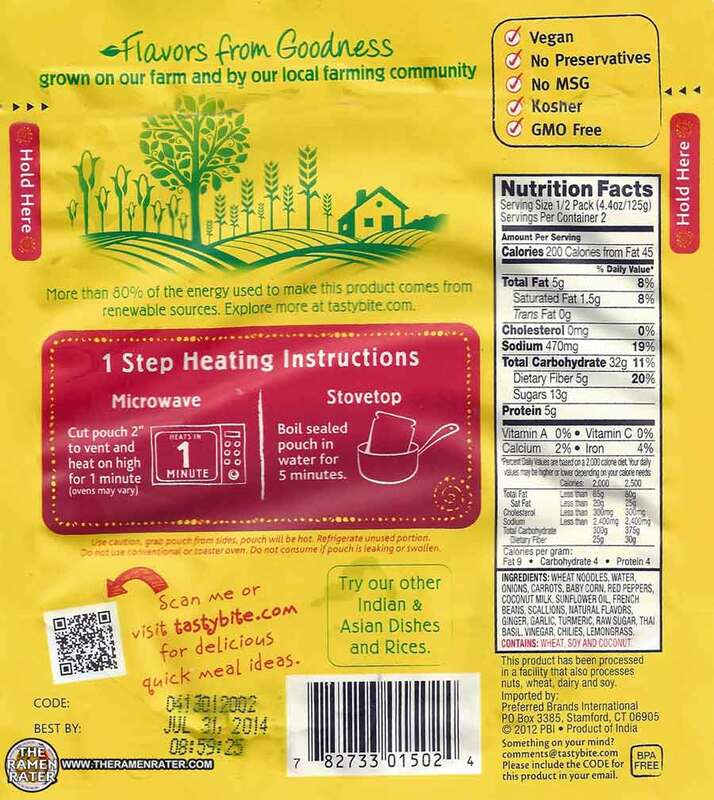 This entry was posted in * Meet The Manufacturer, * Stars 3.1 - 4.0, Other, Tasty Bite, United States, Vegetable and tagged 1 minute, 1 step, 1062, asian noodles, ginger, gmo free, india, kosher, lemongrass, meet the manufacturer, microwavable, no msg, no preservatives, pune, tasty bite, vegan on May 26, 2013 by Hans "The Ramen Rater" Lienesch. 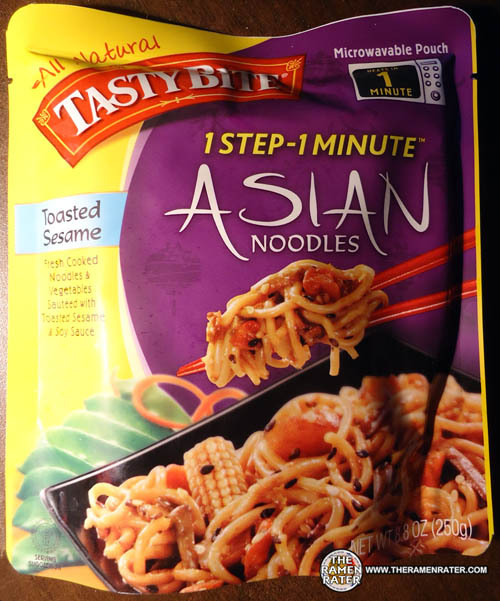 This entry was posted in * Meet The Manufacturer, * Stars 3.1 - 4.0, Other, Tasty Bite, United States, Vegetable and tagged 1 minute, 1 step, 7 82733 01503 1, 782733015031, asian noodles, baby corn, gmo free, india, kosher, meet the manufacturer, microwavable, no msg, no preservatives, pune, seeds, tasty bite, toasted sesame, vegan, water chestnut on May 24, 2013 by Hans "The Ramen Rater" Lienesch. 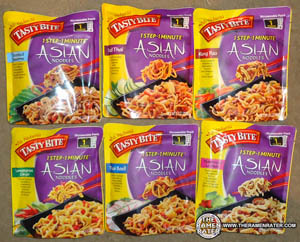 This entry was posted in * Meet The Manufacturer, Tasty Bite, United States and tagged 1 minute, 1 step, asian noodles, donations, gmo free, india, kosher, meet the manufacturer, microwavable, no msg, no preservatives, pune, samples, tasty bite, vegan on May 24, 2013 by Hans "The Ramen Rater" Lienesch. 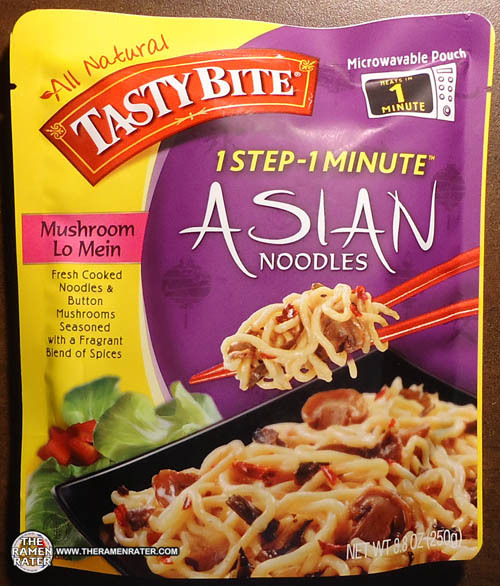 This entry was posted in * Meet The Manufacturer, Tasty Bite, United States and tagged 1 minute, 1 step, asian noodles, gmo free, india, kosher, meet the manufacturer, microwavable, no msg, no preservatives, pune, tasty bite, vegan on May 24, 2013 by Hans "The Ramen Rater" Lienesch. 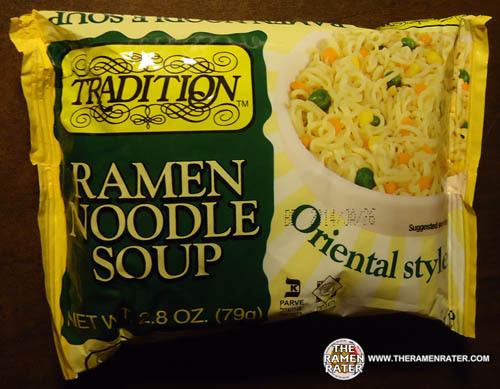 This entry was posted in * Stars 2.1 - 3.0, Other, Tradition, United States and tagged 1015, 7 35375 11807 3, 735375118073, asian instant noodle soup, buckwheat, cooking, fried noodle, hans lienesch, instant noodles, instant ramen noodles, korean noodles, kosher, lienesch, mi goreng, noodle, oriental, oriental flavor, oriental style, parve, Ramen, ramen blog, ramen noodle soup, ramen rater, ramen recipe, ramen review, ramen reviewer, ramen reviewers, ramen reviews, ramen video, ramenrater, ramenrater.com, ramyeon, ramyun, rater, rating, ratings, review, reviews, seattle, spicy, the ramen rater, theramenrater, theramenrater.com, top, tradition, vegetarian, washington, wheat noodle, yakisoba on April 4, 2013 by Hans "The Ramen Rater" Lienesch. 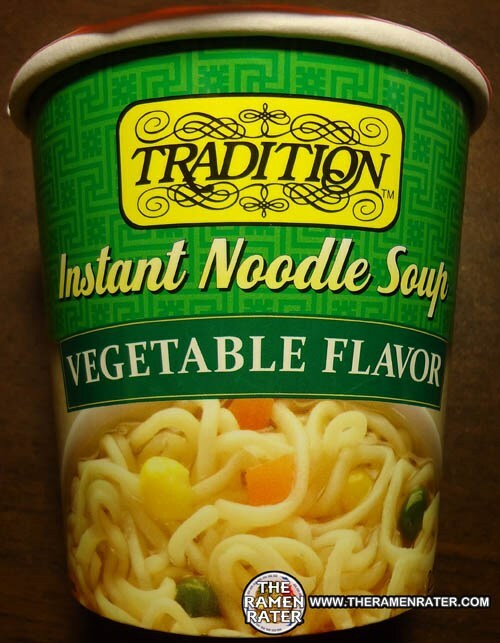 This entry was posted in * Stars 3.1 - 4.0, Canada, Tradition, United States, Vegetable and tagged 35375, 60325, 7, 7 35375 60325 8, 735375603258, 8, 902, asian instant noodle soup, bowl noodle, buckwheat, canada, chow mein, fried noodle, hans lienesch, instant noodle soup, instant noodles, instant ramen noodles, jewish, korean noodles, kosher, lienesch, mi goreng, noodle, parve, Ramen, ramen blog, ramen blogger, ramen rater, ramen recipe, ramen review, ramen reviewer, ramen reviewers, ramen reviews, ramen video, ramenrater, ramenrater.com, ramyeon, ramyun, rater, rating, ratings, review, reviews, saifun, saimin, seattle, shin ramen.black, shin ramyun, soba, spicy, the ramen rater, the ramenrater, theramenrater, theramenrater.com, top ramen, tradition, udon, usa, vegetable, vegetable flavor, washing, wheat, yakisoba on October 20, 2012 by Hans "The Ramen Rater" Lienesch. 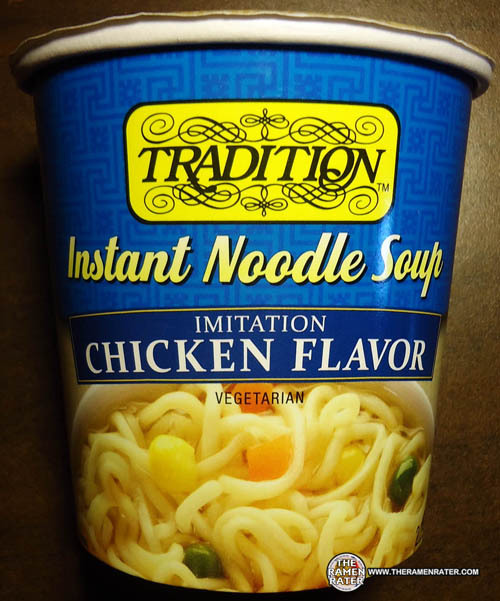 This entry was posted in * Stars 3.1 - 4.0, Chicken, Tradition, United States and tagged 35375, 4, 60125, 7, 7 35375 60125 4, 735375601254, 98026, asian, asian instant noodle soup, bowl noodle, buckwheat, chinese, chow mein, edmonds, eggs, flavor, fried noodle, hans lienesch, imitation chicken, indomie, instant noodle soup, instant noodles, instant ramen noodles, japanese, jewish, korea, korean noodles, kosher, kosher instant noodles, lienesch, maruchan, mi goreng, nissin, noodle, northwest, parve, ponpoko, rabbi, Ramen, ramen blog, ramen blogger, ramen rater, ramen recipe, ramen review, ramen reviewer, ramen reviewers, ramen reviews, ramen video, ramenrater, ramenrater.com, ramyeon, ramyun, rater, rating, ratings, review, reviews, saifun, saimin, seattle, shin ramyun black, soba, soup, spicy ramen, states, tanuki, tempura, thai, the ramen rater, the ramenrater, theramenrater, theramenrater.com, top ramen, tradition, tradition foods, udon, united, united states, usa, vegetarian, washington, wheat, wheat noodle, yakisoba on September 8, 2012 by Hans "The Ramen Rater" Lienesch.